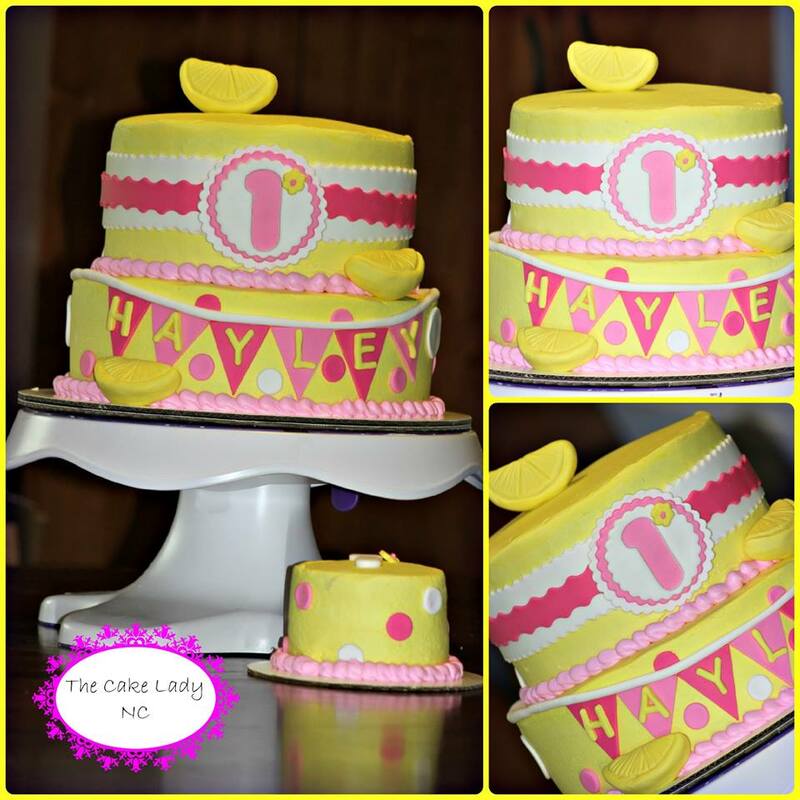 A couple of weeks ago, I had the pleasure of having lunch with Jenny Albright, aka The Cake Lady (www.facebook.com/TheCakeLadyNC) and asking her about her business and her delicious cake creations. Jenny and I briefly worked together earlier this year, and I finally got around to ordering some cupcakes for a breast cancer fundraiser I was having for my friends, Jill and Carter, who were participating in Avon’s 39-mile breast cancer walk in Charlotte in late October. The cupcakes were nice and fluffy with a great vanilla flavor. 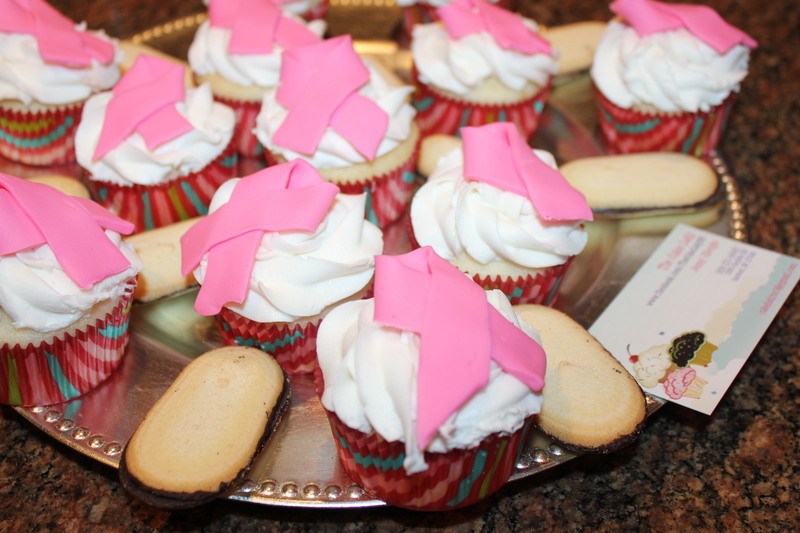 They tasted great, fit the occasion perfectly and were a big hit! Here’s a recap of some of my questions and her replies, with some photos of her creations you will love! Kelley: How did you get started? 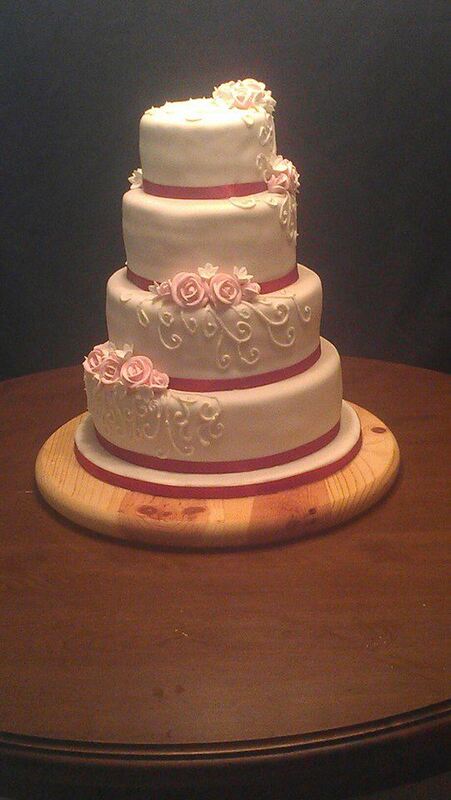 Jenny: I’ve always loved to bake and decorate cakes. 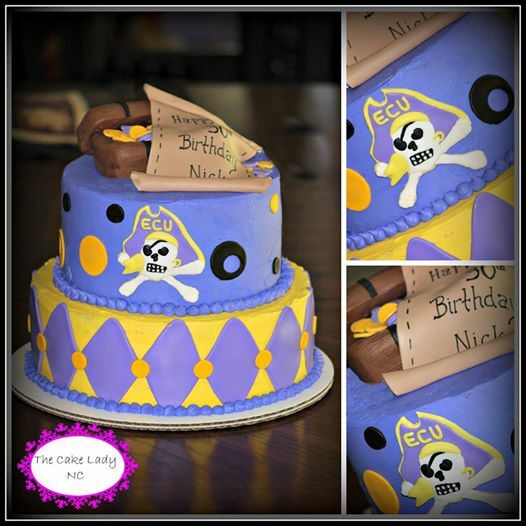 I decided to take a couple of classes at the local community college in Sanford to learn more about cake decorating. I started out baking for family and friends, and the business grew from there — my friends’ friends started ordering. One day I advertised on Craig’s List to see what would happen, and that started me branching out to people I didn’t know and getting business that way. And now, I don’t advertise at all — it’s strictly word of mouth. Kelley: How do you come up with your decorating ideas? 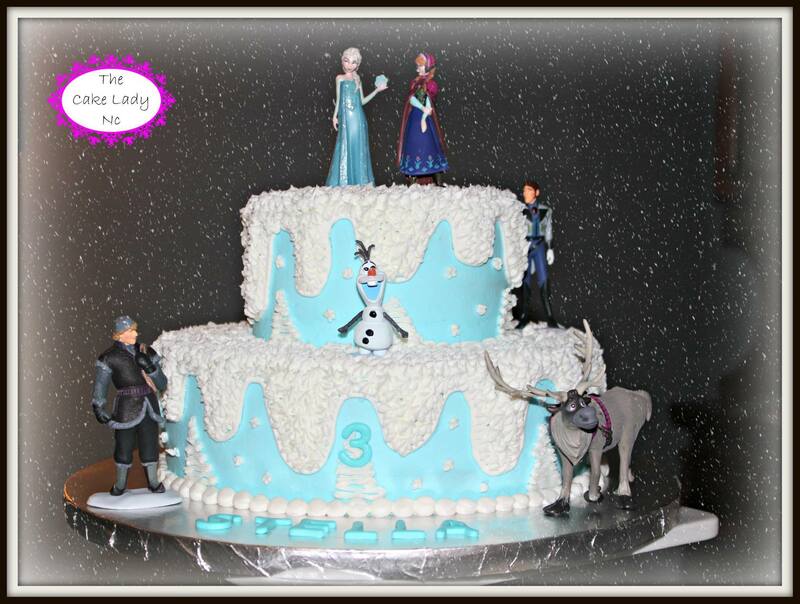 Jenny: Once customers tell me what they want (for example a Tinker Bell cake for a young girl), and don’t already have pictures, I go to the Internet and get ideas. I send the pictures to help them narrow down what they want. It’s easy to do this because if the customer thought of it, so has someone else. Kelley: What’s the most complicated cake you’ve ever made? 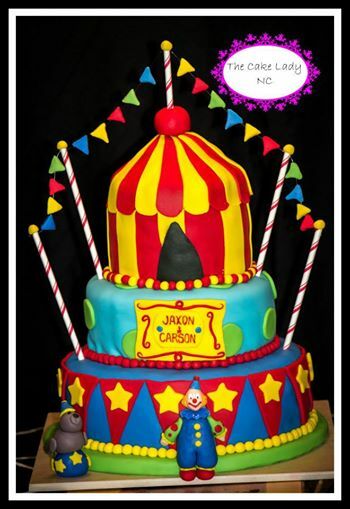 Jenny: That would probably be the first circus cake we did. My husband helps a lot — he does all of the sculpting because he has an uncanny gift for it, which was something we found out when I was first getting started. 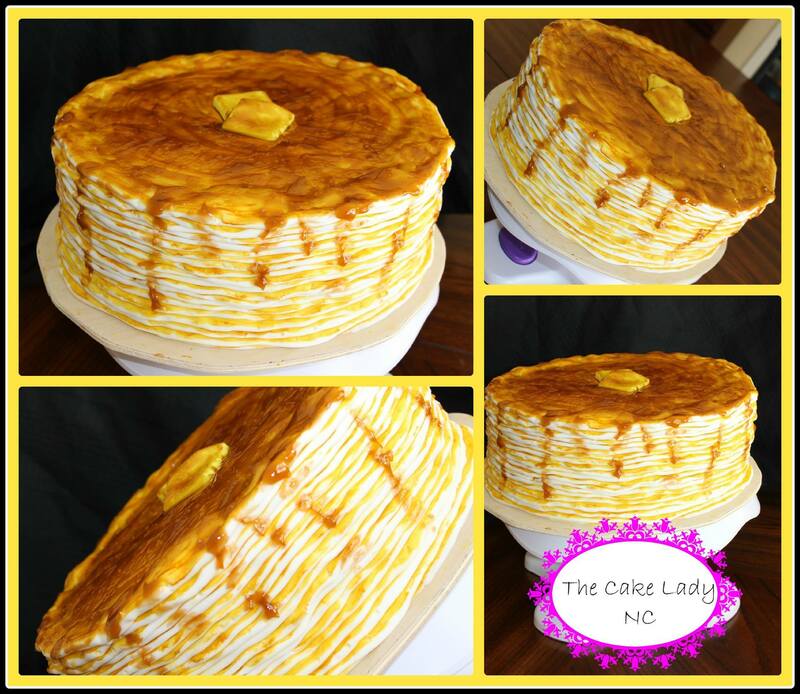 He can just look at a picture and then sculpt the cake! 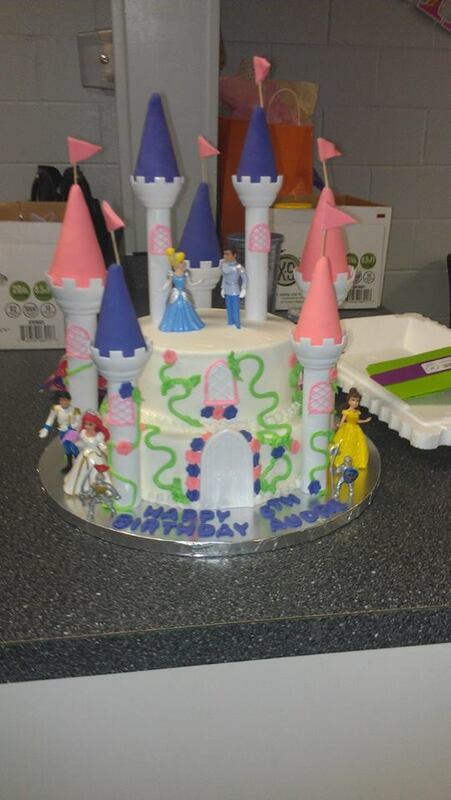 The circus cake had three tiers — the top was a tent and we also had to make all of the animals. 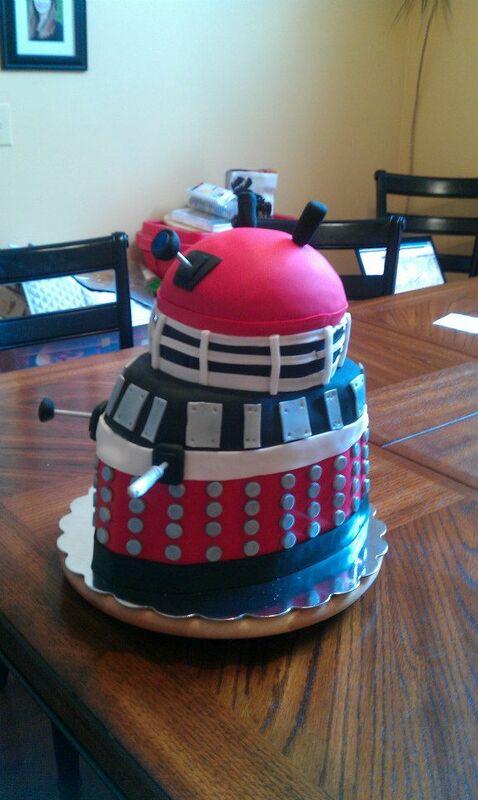 Another cake that was quite a challenge was the Dalek cake from Dr. Who., the popular television series in the 1960s. Dalek was a robot figure, kind of like R2D2. It wasn’t round and it wasn’t square, so it took me a while to figure out how to make it. Kelley: Where do you see your business going in the next few years? Jenny: This past year the business has really exploded. We’ve done close to 70 cakes so far, compared to the 59 we did last year. 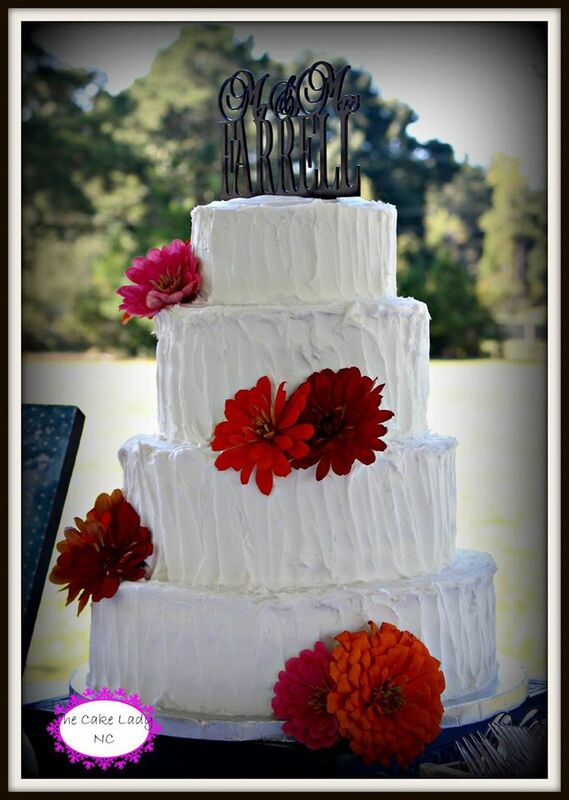 Eventually, we would like for me to work just as the Cake Lady. That is the plan! 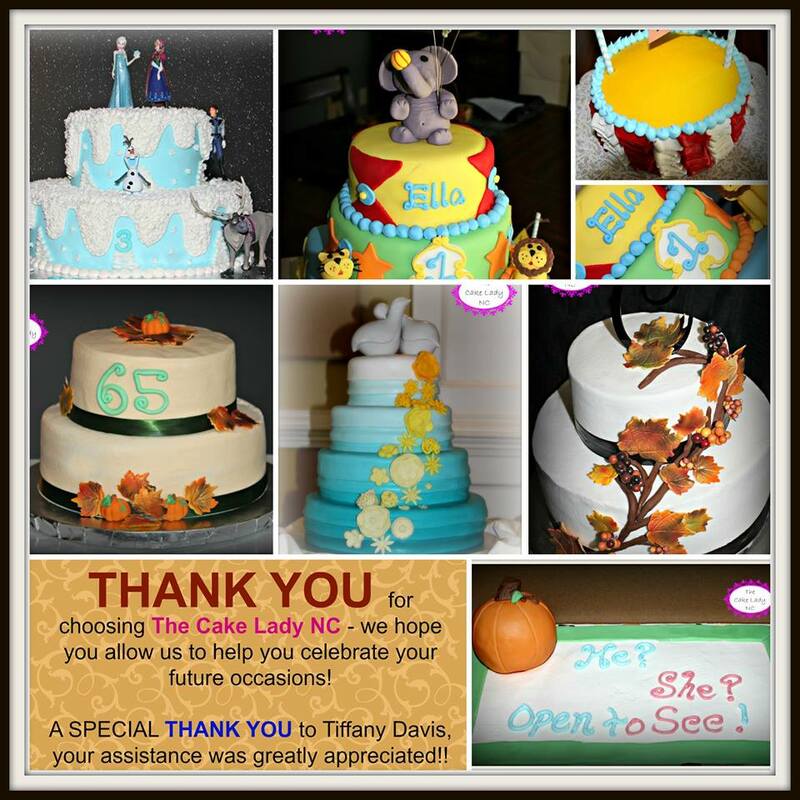 Kel’s Café thanks Jenny for her time, and urges you to check out her FB page at http://www.facebook.com/TheCakeLadyNC and have her make you a customized and yummy creation — you’ll be glad you did! 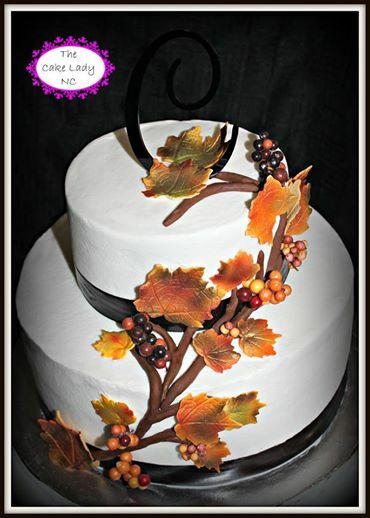 This entry was posted in Chef Interviews, My Favs and tagged Cake baker NC, Cake designer Raleigh area, Cake designer Sanford NC, eat drink and be merry, Specialty cakes, The Cake Lady Sanford NC. Bookmark the permalink. Great interview! 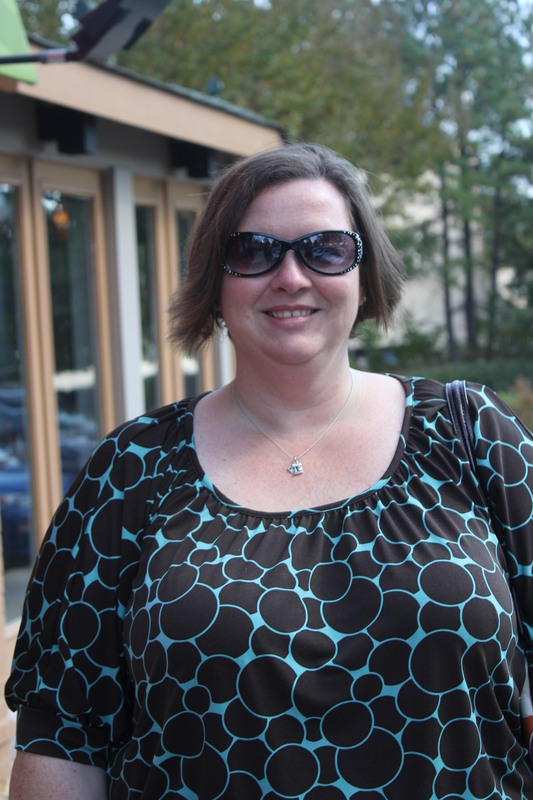 Love this lady – the Cake Lady that is. I agree, Trina. Her cakes rock, and so does she!